Pupils from four local primary schools will take the first steps towards penning ‘A Song for Hull’ today when they receive a visit from two special guests. 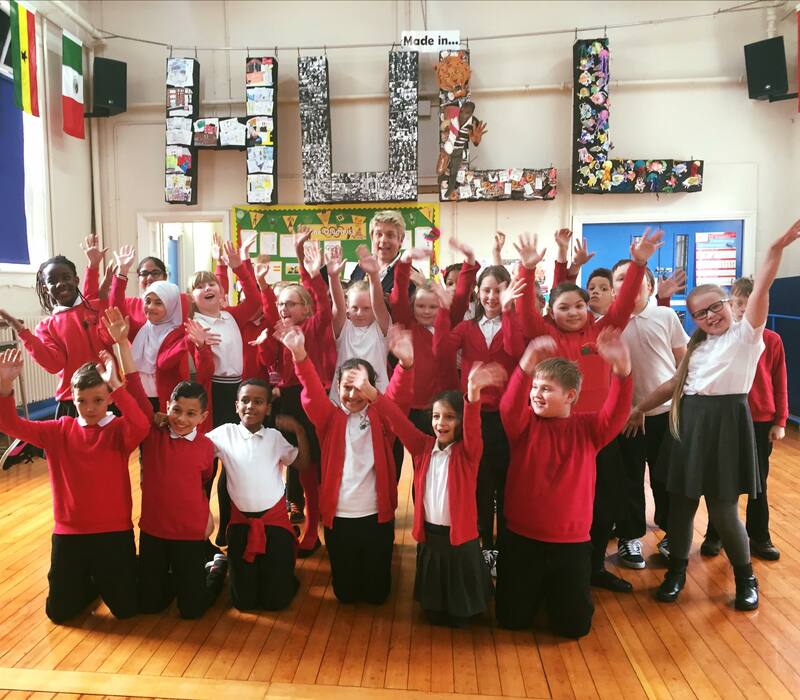 Students from eight schools across the city have been invited to take part in the Song for Hull project; one of 60 projects to be supported this year with a City of Culture Creative Communities grant. Jonathan Ansell, who featured on ITV’s X Factor as part of operatic group, G4, will be joined by local rapper and former teacher, Nineties Boy, in visiting Year 6 pupils at Ings, Woodlands, Priory and Chiltern Primary Schools. Pupils will talk about what Hull means to them, how the City of Culture is inspiring them, and then get their thoughts down on paper in the form of a poem. Using these poems and the work of other pupils in participating schools, Nineties Boy will then create lyrics for the Song for Hull. The song will be performed by around 240 school pupils at Hull City Hall in October, supported by members of Hey Let’s Sing; the Hull University Teaching Hospitals NHS Trust staff choir, along with Jonathan, Nineties Boy, and Britain’s Got Talent starts, the Garnett Family. The aim is to instill pride in young people, raise their aspirations, and give them a once-in-a-lifetime opportunity during the 2017 City of Culture year which they will never forget. A Song for Hull is a collaborative project between Hull University Teaching Hospitals NHS Trust, Hull Children’s University, and HPSS Events.